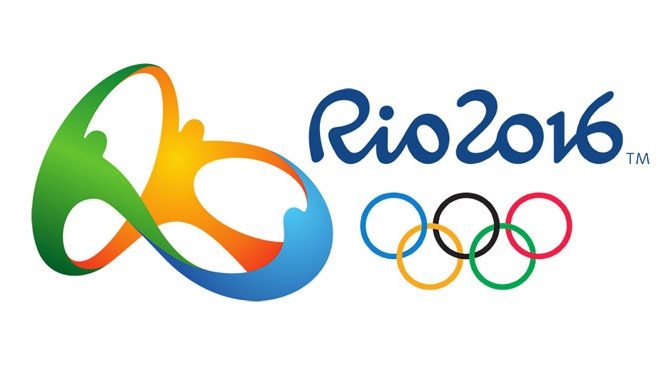 The Athletes have marched, the cauldron has been lit, and it’s time for all of the political squabbles, doping scandals and health concerns to find their way to the back burner as the athletes, the true spirit of the Olympics step to the forefront and begin writing their own stories. Every four years, the athletes of the summer games get their chance on centre stage, and while there seems to be a growing trend of youth taking over the world of sports, the Rio Olympics have provided a few shining examples of older athletes making their mark. Jo Pavey will be lacing up her runners for her 5th Olympic Games as she represents Great Brittan on the track in the women’s Ten Thousand Meter race. That Pavey is 42 years old and competing in the Olympics this year is less remarkable than the path that brought here. After a stunning career, her retirement seemed all but certain, as she was well below the qualifying mark at the 2016. A last ditch effort at the European Championships, an event that, the year before saw her set a record as the oldest female athlete to win gold, saw Pavey post her own season best time, and make it into the field for the 2016 Olympics. Oksana Chusovitina has been competing on the world stage and in the Olympics for so long, that her first Olympic medal, a team gold, was won for the now dissolved Soviet Union. Through her time as an Olympic athlete, political changes to the world has seen her competeing for the USSR, the Unified Team, Germany and now Uzbekistan. Oksana already has a Gold and Silver medal decorating her trophy case, which also brims with awards from the European and World Championships, but knows how sweet it would be to add one more at teha ge of 41. Prakash Nanjappa’s road to Rio is an entirely different path than most other athletes. At the age of 40 this will be Nanjappa will be making his Olympic debut for India. Prakash had been a an amateur shooter, but never truly perused the craft which runs in the family, and in 2003 he left india to take up a career in Software engendering in Canada. On the advice of his father, he quit his job in 2009, returned to India and Shooting. He medaled at the 2013 World cup and is hoping to bring home more accolades in his Olympic debut. Competing in his 4th Olympics in Rio, Meb Keflzighi is setting a record just by competing ahs he will be America’s oldest Olympic Marathon runner. He’s competing in both the iconic Boston and New York Marathons and brought a silver medal home from the 2004 Athens Olympics, where the Marathon began in Marathon itself. His ability to compete at the highest levels for so long have led some to refer to him as Super Human and he’s hoping to add to his accolades in Rio. Bernard Legat is another American Olympic runner who has 4 previous Olympic appearances under his belt. He holds multiple records for the US for both indoor and outdoor races and already has 2 olympic medals to his credt. A Bronze in Sydney in 2000 and silver in Athens, both in the 1500 meters and both for his native Kenya. In 2005, while representing the United States, Bernard became the first athlete to become the World Champion in both the 1500 and 5000 meter at the same time. As Bernard enters his fifth Olympics, a Gold Medal would be a very welcome addition to his resume. Mary Hanna is set to become Australia’s oldest Olympian when she takes to the ring in Rio. At 61 years of age, that Mary is still able to compete at a high enough level to be in the Olympics, is nothing but astounding. Competing in Dressage, both individually and as part of the Australian tea Marry has a chance to go down in history as one of the oldest Medal winners in Olympic history. The Olympics are the epitome of sports, and the athletes who struggle and strive every day in hopes of achieving their lifelong dream of standing on the podium and hearing their national anthem played for the entire world, are truly some of the greatest on the planet. Those who somehow manage to triumph again and again, and make their way back to the Olympiad many times, later into their life is truly a phenomenal achievement. Take the stories of these athlete’s to heart, the next time you don’t feel you have it in you to compete, or to push yourself to another level. Let their achievements inspire yours. BONUS: As a historical bookmark and a bit of Trivia, Who is the oldest Canadian to ever bring home a Gold Medal? At the age of 46 it was George Lyon, who, coincidentally was the last person to win an Olympic Gold Medal in Golf, which returns to the Olympic games this year. Lyons Captured the Gold in 1904 in St.Louis, and celebrated the win later that night at an awards Dinner by walking the entire length of the dining room on his hands! It should also be noted that Lyon didn’t even take up the game of Golf until he was already 37 years old.